Narkanda is a town and a nagar panchayat in Shimla district in the Indian state of Himachal Pradesh. To see traveler tips, more things to do, reviews, and other tourist information, read our Narkanda online trip itinerary planner . Mumbai to Narkanda is an approximately 6.5-hour combination of flight and taxi. You can also drive; or do a combination of train and taxi. 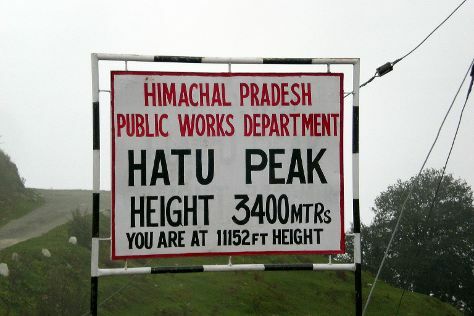 Cap off your sightseeing on the 15th (Wed) early enough to go by car to Shimla. Change things up with a short trip to Tara Devi Temple in Taradevi (about 42 minutes away). Next up on the itinerary: admire the striking features of Viceregal Lodge, don't miss a visit to Scandal Point, admire all the interesting features of Indian Institute of Advanced Study, and take in the architecture and atmosphere at Christ Church. To find maps and tourist information, use the Shimla trip itinerary planner . You can drive from Narkanda to Shimla in 2.5 hours. Finish up your sightseeing early on the 18th (Sat) so you can travel back home.